Pictured: Rain at Palmwag and water flowing in the Ugab River. Photos: Courtesy of various contributors to the Reën in Namibia Facebook page. Water levels in Namibia’s main dams remain low while welcome rains over large parts of central and north western Namibia over the past 24 hours have once again given the country some relief from the scorching drought. Isolated thunderstorms in Otjiwarongo and Outjo caused streets in the rural towns to be inundated with water. 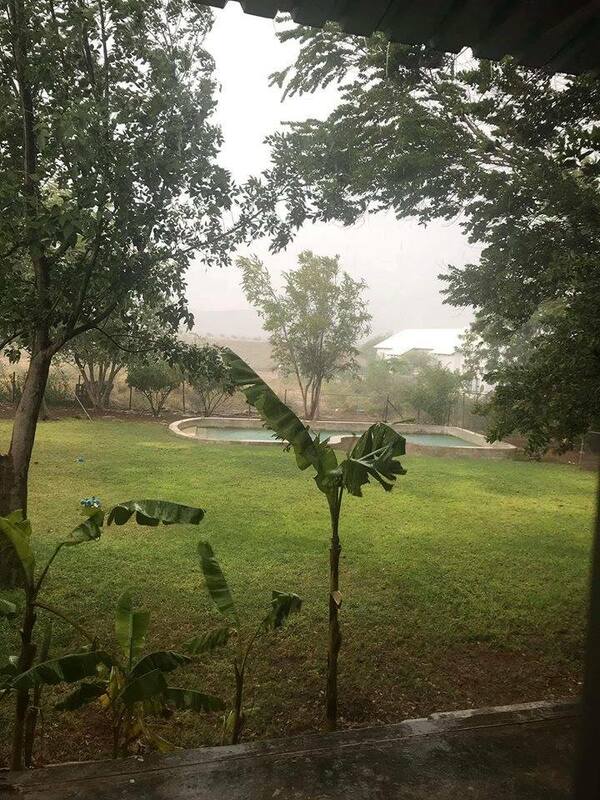 Further north rain fell in the area of the B2 Gold mine and some rain was also reported at Tsumeb. 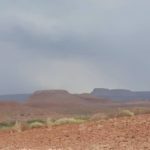 Up to 19 millimetres of rain was measured near Otavi and 30 millimetres of rain was measured in the area of Outjo. 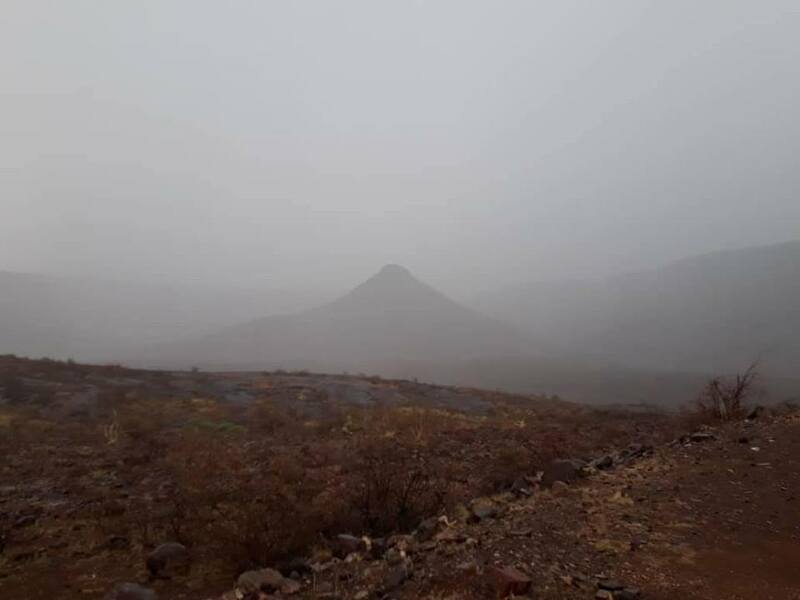 To the west places like Palmwag, the Brandberg and the Erongo Mountains also received welcome rain showers. Minimal water flow was reported by people living near the Ugab- and Kahn Rivers. 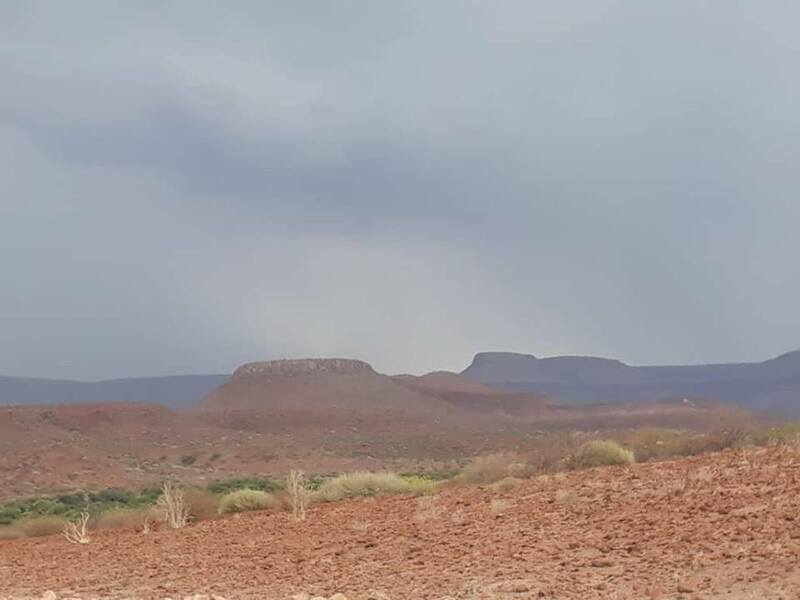 Rain was also reported in the Twyfelfontein area and at Doro !Nawas further to the north west. Some rain also fell in central Namibia with up to eight millimetres of water measured in and around Windhoek. Meanwhile the water levels in the main dams in which much of Namibia’s consumable water reserve is stored, are currently lower than a year ago. According to the daily bulletin of the Hydrological Services Namibia, the Swakoppoort Dam currently only has 18.9 percent water compared to 37.7 percent last year, the Von Bach Dam is currently 47.9 percent full where it had 51.6 percent water last year, the Omatako Dam is 0, 4 percent fuller than what it was last year but with the water level at 0.7 percent it had no significant inflow this year. In southern Namibia the Hardap Dam is only 28.9 percent gull compared to 47.7 percent last year and the Oanob Dam is currently standing at 54.3 percent where it had 67.2 percent water last year during February. According to the flood bulletin the Naute Dam is still 101.1 percent full after the good rains a few weeks ago. Last year during February the dam was only 71.3 percent full. Less rain in the catchment areas of perennial rivers of Namibia means that the water level is significantly lower than the same period last year. The Zambezi River at Katima Mulilo is currently at 1, 63 metres where it was flowing almost three metres deeper at 4, 24 metres last year. The Okavango River at Rundu continues rise slowly and it is currently at 5.15 metres but it still lower than last year when the river was flowing at 5, 91 metres dep. 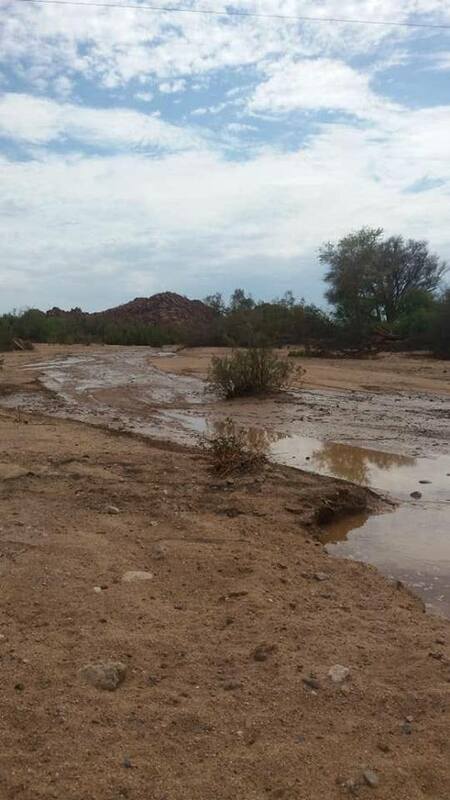 A rise in the water levels at Sendelingsdrift has been observed over the past weekend and is currently flowing at 33 centimetres deep after the South African water governing authorities released some water from the dams in the Orange River last week.